This past Thursday a small ‘raiding’ party from Durban 2 joined the Natal South Coast Tables as they raided Kloof 190. 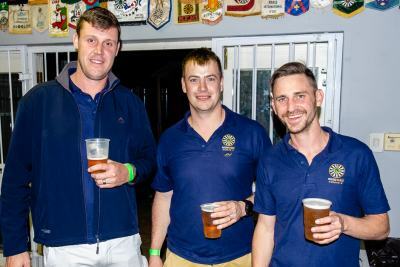 Being the official raid of the Natal South Coast Area (NSCA) Vice-Chairman, Terence Hartswanger, a good turnout was almost guaranteed, and the NSCA gents didn’t disappoint. 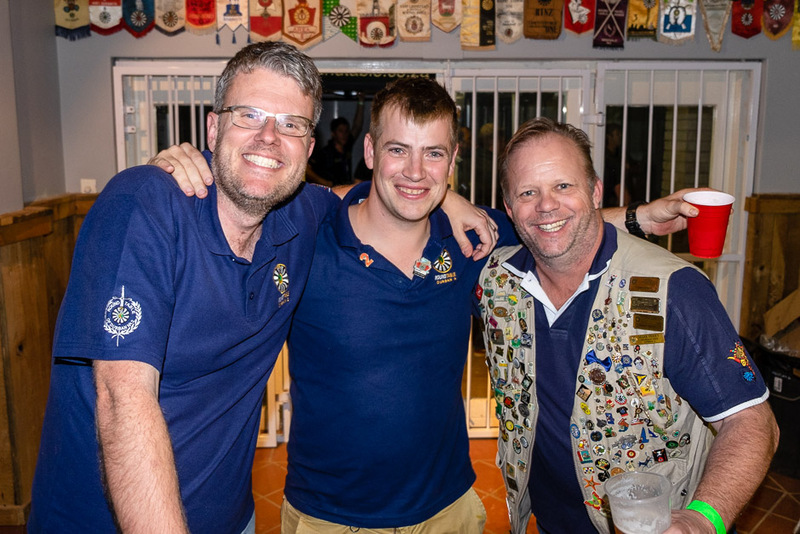 The evening started with a social meeting of Kloof 190 where some urgent matters were discussed, but true to form things started to get quite festive even before the meeting was officially brought to a close. The Sergeant for the evening had his hands full but managed quite admirably thanks to his rather offensive chilli chips. that, and everyone’s willingness to ‘rat out’ their fellow tablers as soon as even the most minor of indiscretions was noticed. There was a great turnout by the Kloof 190 41’ers, many of whom I hadn’t seen for quite some time, and we were ably supported by Durban 2 41’er, Mark Perry. Who, when it comes to Table at least, has a severe case of FOMO. After the meeting, the fellowship moved to around the braai as well as into the pub, where Kloof 190 had arranged a draught tap and some quality craft beer from Tap That. All in all, it was an excellent evening for fellowship with the chaps from the NSCA, and a very special thanks to Kloof 190 for putting it all together. It has been some time since we had a raid of this calibre and we are most certainly looking forward to the next one. Perhaps it is even our turn to reciprocate and get everyone down to Durban 2. Durban 2 Chairman, Kieran Vermaak, taking a small fine. Mass induction into the buffalo club.